PTFE Skived Sheet,PTFE Ring & Gasket,PTFE Skived Sheet Exporter,PTFE Ring & Gasket Manufacturer,India. 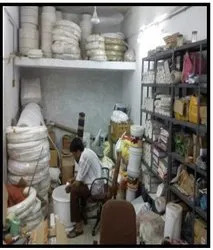 Established in the year 1981, we Paras Traders, Ahmedabad are one of the leading names engaged in Exporter, Importer, Manufacturer of Plastic Balls, PTFE Sheets, PTFE Rods, PTFE Pipe, PTFE Gaskets, PTFE Components and more. We believe in working towards our business goal with sheer determination and sincerity and today are well known as leading manufacturers of precision finished plastic balls in India. We are committed to integrating our pioneering expertise that contributes towards meeting the process demands of various industries who are widely using our range of industrial components such as PTFE skived sheet, PTFE molded sheet, PTFE extruded rod, PTFE molded rod, etc. To meet the quality standards and ever-increasing demands of our clients, we are well equipped with the latest machinery in our integrated manufacturing plant. Our entire range of industrial components is fabricated and thoroughly tested so that these conform to defined international standards. Our business is carried out with our principles and ethics that always guide us in all the involved process so that we not only offer quality products but we conduct business in the most ethical manner. The able guidance provided by Mr. Dhaval Shah has also helped us to carve a niche in today’s competitive market. His vast industry experience has helped us to comprehend the requirements of our clients and satisfy them in the best possible manner. We Exporter, Importer, Manufacturer a wide range of premium quality PFTE based industrial components that find extensive usage in the host of industries. We also have a separate research and development unit that is equipped with all essential equipment for the development of new range that is innovative as well as cost-effective. This department is managed by a team of researchers who hold years of experience in the concerned area. 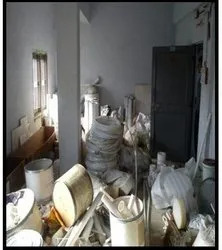 We conduct the research work regarding development in tandems with company’s resources and present range of components such as PTFE skived sheet, PTFE molded sheet, PTFE extruded rod, PTFE molded rod, etc. After the thorough analysis of the development procedure, the researchers recommend the entire thing to the concerned department. All the data are documented and safely preserved for future reference.